Our Testors Acrylic Rack is Refilled! Some of you, over the last few months, have pointed out our Testors acrylic rack had begun to look a little… empty. This was a direct result of Hobbico’s demise in April — we bought our paint from them, and Horizon continually refuses to sell it by the bottle like Hobbico did, and since we don’t sell enough acrylic paint to justify stocking six of each color at the same time, the rack went without restocking for the entire summer. Until, that is, we signed up with a new distributor. 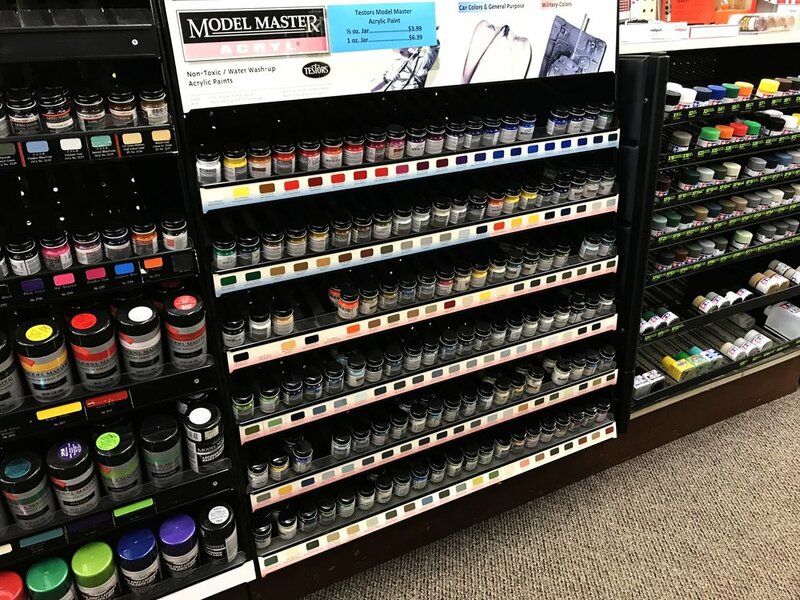 Heartland Hobby Wholesale, located in Nebraska, has plenty of general hobby products for us to order, and they sell Testors by the bottle — which means our racks are full again! We’re happy to add Heartland to our expanding roster of vendors, and if you’re a Testors acrylic fan, you should be happy too!